My first time playing solo here in many years. Club 85 is what I consider to be my home venue. Featured Guest as a part of Nick Stevenson’s Open Mic Night. I will play for about 30 – 40 mins. 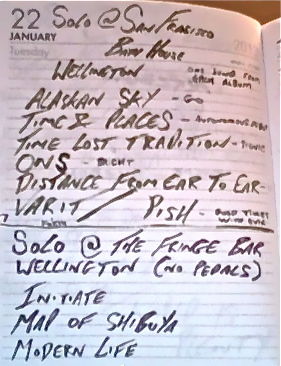 0 New Zealand Tour Blog Continued…..
Folks may have noticed that my tour blog follows no specific pattern of time. This is because I simply prefer to write it as and when I’m feeling it. I finished the NZ tour in May 2013 but I’m still writing it now. So basically – Never expect a concurrent theme to these blogs. They are just rambles from my non sensible existence. 2 shows in one day. 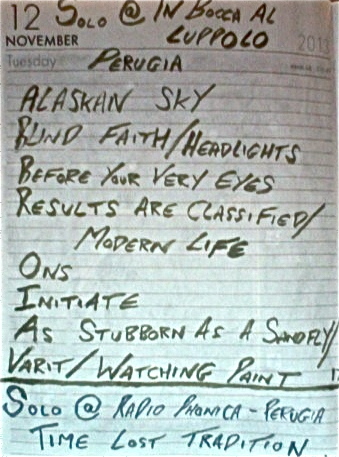 The first show was a case of playing one song from each album. 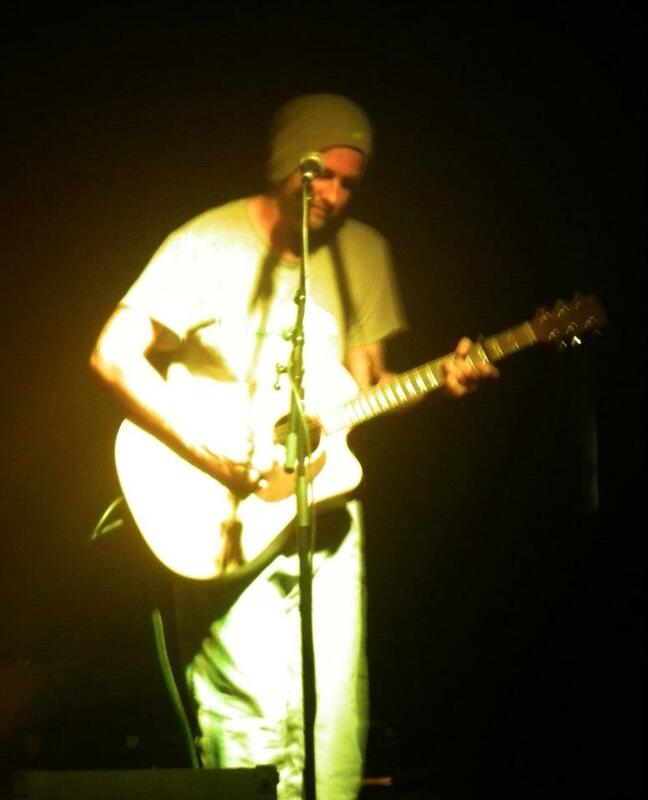 The 2nd show was an acoustic performance where again I played 3 different songs. 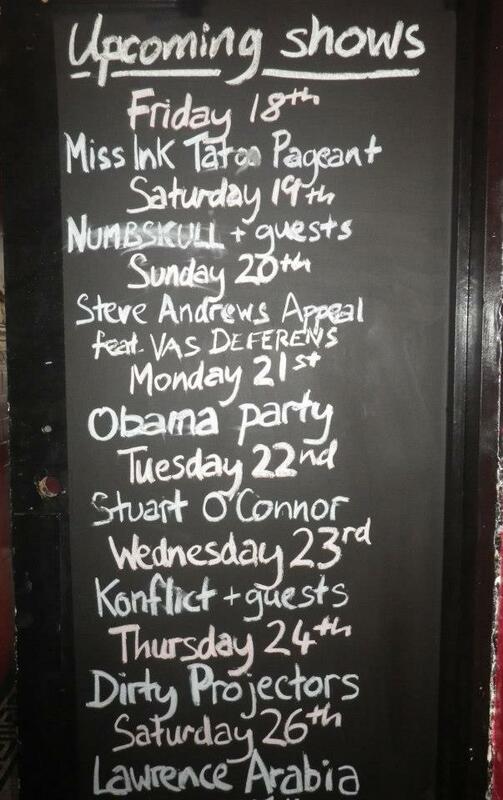 My series of shows in Wellington were a total mish mash between pub crowds to established venues. Despite being hailed as the cultural capital of the country I have never found it to be much other than apathetic towards small time musicians like myself touring through. 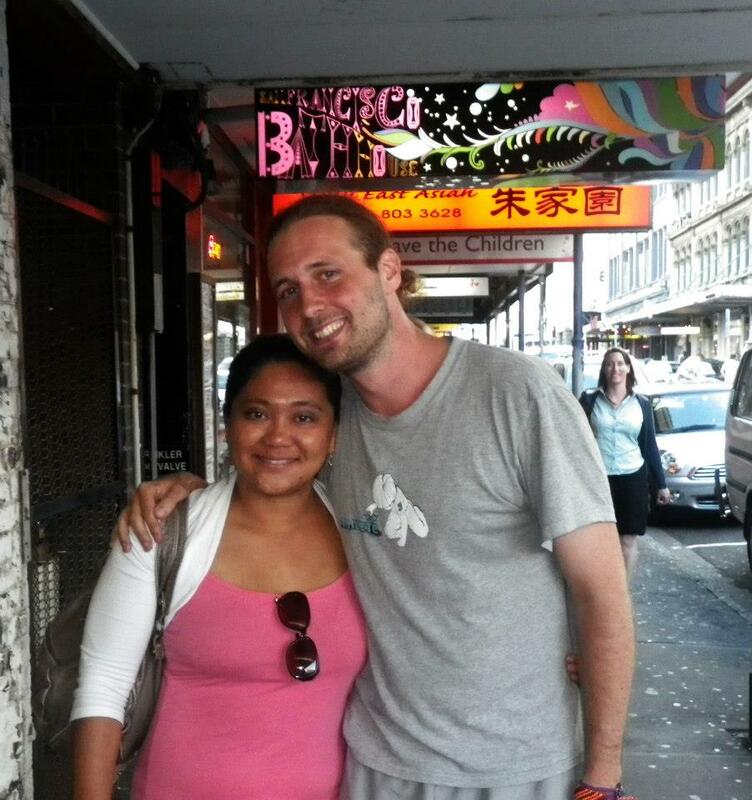 With my friend Jowe outside one of my Wellington shows on Cube Street in the heart of Wellington. The saving grace stories from this chapter came only in the form of the housemates from heaven. I was brought to a squat party one night where I really begun to understand the community of artists that occupied the City. It was also these same folks who came to my aid for a booking taking place at Bodega (one of the cities ‘Name’ venues). ‘Dan Untitled’ stepped up to play a support spot. It was him and Dallas (the other support) who really worked to bring a crowd. I was lucky to have a few random folks from earlier in the tour put in an appearance and my thanks to them for showing up on the night. But apart from that I had spent many days flyering the city centre and to the best of my knowledge it brought nobody to the show. A couple of days prior to the Dirty Projectors. Following my final performance in Wellington I was done not just for the city but also for the North Island of NZ. Next morning I boarded the ferry for my return to the South Island. Possibly the most scenic place on the planet. 0 Dirgy Electro Tune Gets Student Music Video Treatment. A new music video has been created to one of my songs by students studying at Oaklands College in Welwyn Garden City, England. The Video was Filmed, Directed and Edited by Cheyenne Usher & Shannon Moffatt. It was created as a part of their Video and Media Coursework. My thanks go to them for all the hard work and time they put into making this. It was a busy day for me as there was first of all a Radio Session in Perugia at the student run station Radio Phonica. 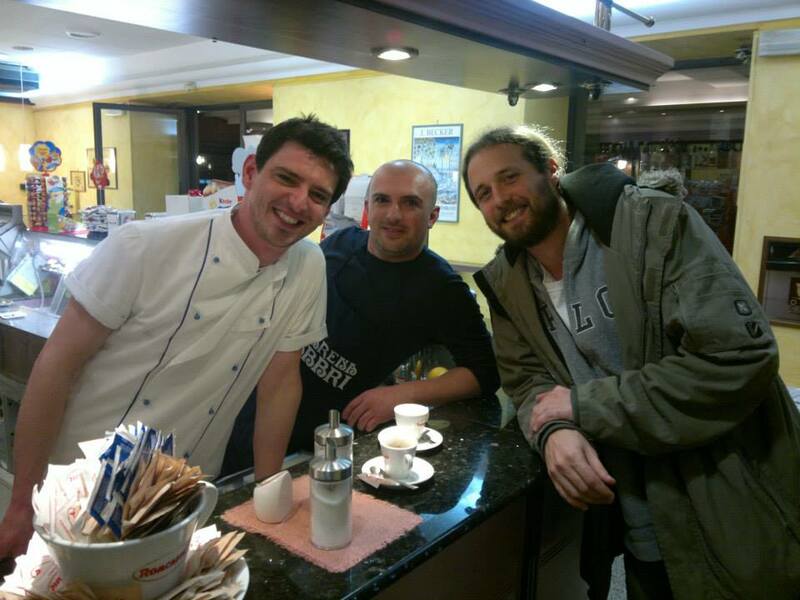 From there I head onto the venue in Perugia with my food friend and tour manager Andrea. The venue was a very small space with many people tightly packed in. I felt I played well and managed to win over the initially apathetic crowd. Early tune ‘Blind Faith’ made a sneak return to the set and the Atoms for Peace cover served Andrea with a smile. It’s an odd thing to know when one is nearing the end of 15 months on the road. This was that time for me. From here I would play a couple more Italy shows and then head to South Korea before calling a needed break to the road time. The album launch for a good friend ‘Chris Davison’. This will also be my first show of 2014 in the UK. 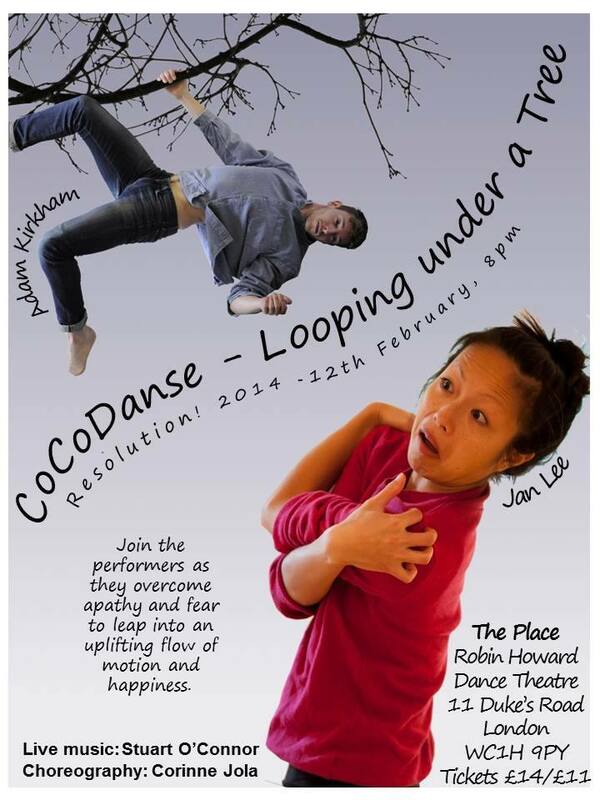 A chance to dip my toe into performing once more. 0 I recorded this music video in the summer – The area is now submerged in water. 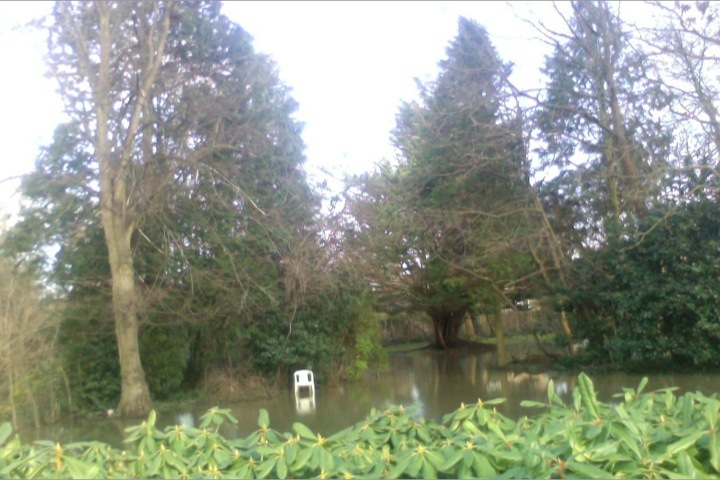 7 months later and the intense rainfall here in the UK has caused the river close by to flow over onto the land.